Ireland has gone street food crazy with plenty of quality operations in food trucks and stalls in the most unlikely places such as industrial estates and business parks as well as markets and events. From farmers looking for a new market for their produce to budding chefs and restaurateurs squeezed out by high rents, there are talented people involved and the food they offer is going down a treat. Standards are more than a match for the best permanent restaurants and the best of them soon graduate to bricks and mortar premises of their own with the advantage of a ready built following, so it looks as if this trend is here to stay. Great taste is the key to success when it comes to street food and there is no shortage of that at Papa Rich - Street Food Kitchen, where customers happily queue to bag one of only 35 seats to enjoy Kevin Tan’s wide repertoire of ethnically diverse dishes. 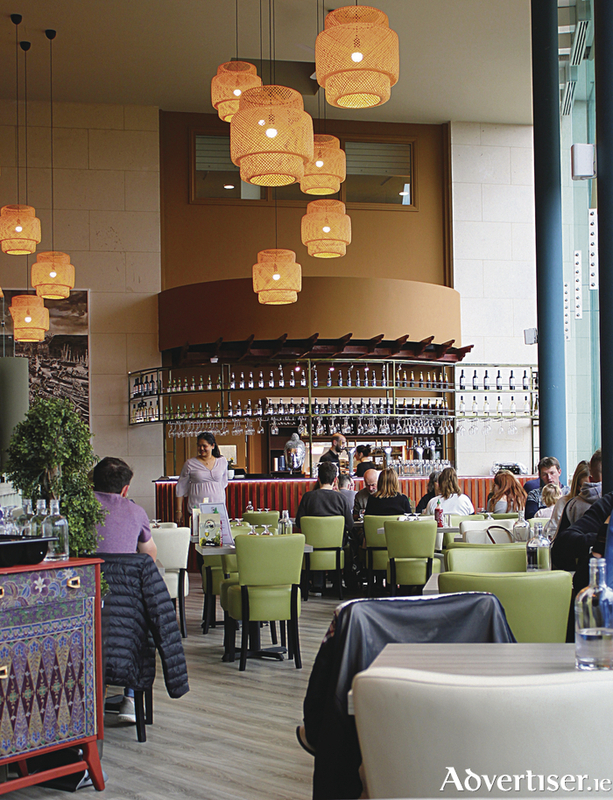 The original Papa Rich is situated in Woodquay, above Bar an Chaladh and just across from McSwiggan’s, where they are doing a stellar job of attracting those who love Asian fare with huge plates and bowls of steaming food. Covering all the bases with Chinese, Japanese, Korean, Singaporean, soul food, Taiwanese, Thai, and Vietnamese, they use the freshest ingredients to create Asian street food inspired dishes from family recipes at affordable prices. Husband and wife team Rebecca Tan Lee and Kevin Tan enjoyed almost instant success, welcoming the crowds to their popular restaurant from day one. Having opened the doors at the end of December 2015 it quickly became a firm favourite on the thriving casual dining scene in Galway and, after just a few months, it became very difficult to secure a place if you had neglected to book ahead for the evenings and weekends. Then there was more Papa Rich to love with the opening this time last year of Papa Rich Express, located beside the Tesco Express on the Headford Road. The casual 25 seater restaurant and takeaway was busy with deliveries, collections, and hungry customers from the day it opened. The latest addition to the family is Papa Rich Bistro located in Born at Newtownsmith — downstairs you can expect good cafe fare such as quality breakfasts, burgers, and wraps, while upstairs you will find an elegant 100 seater with the best Asian food around. The elevated position and glass frontage means some beautiful views over the river and cathedral and a room filled with light. Just as in the other two restaurants, the short menu is divided into easy to navigate sections and includes many familiar dishes with a nice selection of more unusual offerings. Also as in the other two the prices are very attractive, starters and soups are priced at €5, the salads weigh in at €7, and all main dishes are a budget friendly €10. Chef Kevin Tan moves among the three operations ensuring that the quality of the cooking keeps to the same high standard people have come to expect from Papa Rich. He and his team like to keep the cooking as natural as possible, using beetroot and turmeric as colorings and no MSG. The staff here deserve a special word of praise, service is attentive and considerate in what are often very busy circumstances and there is plenty of advice on what to order. There are little red flames after each menu item, alerting you to the heat level you can expect, and there is the same warm welcome from Rebecca at front of house, a born hostess. From the starters the spring rolls are served with excellent sweet chilli sauce, extremely well made and wonderfully crispy. Happily, the famous peanut crusted Korean chicken wings are also listed, my personal favourite. From the rice and noodle dishes Kevin manages to balance sweet, sour, hot, and salty flavours perfectly so that none is dominant and all work in harmony together. Menu highlights include the crunchy salads drizzled with light coconut and tamarind dressing and excellent boat noodle soups, with plenty of vegetables, mountains of coriander, lime, Thai basil, and mint. For Asian food lovers, this is a real treat. The menu contains enough of the familiar dishes that you would expect to see but there are also some pleasant surprises along the way. There are a few tasty desserts such as cheesecake and apple crumble and a small wine menu with a half dozen each of red and white wines by the glass or bottle. Four kinds of Asian beer and a short cocktail menu featuring espresso martinis, whiskey sours, and an eye wateringly hot spiced Bloody Mary, all priced at a very reasonable €6, complete the offering. If you thought that a third Papa Rich would be too much, you would be wrong. The bistro is proving just as popular as the other two restaurants. Kevin and Rebecca are serving quality food where a real effort has been made to recreate their favourite flavours of home. This passionate and enthusiastic couple from Malaysia had felt the time was right for their own business after a lot of time spent working in the industry — they are one of the hardest working couples you are ever likely to meet. They may have got lucky along the way, with their exemplary staff and with their premises, but mostly their luck is of their own making. This kind of achievement does not come without considerable personal sacrifice, and sacrifice they have. Rebecca and Kevin deserve every good thing that comes their way. Papa Rich Bistro, Newtownsmith, Galway. Tel:(091 ) 450 147. Email: [email protected]. The Salthill Social; casual dining at its finest!